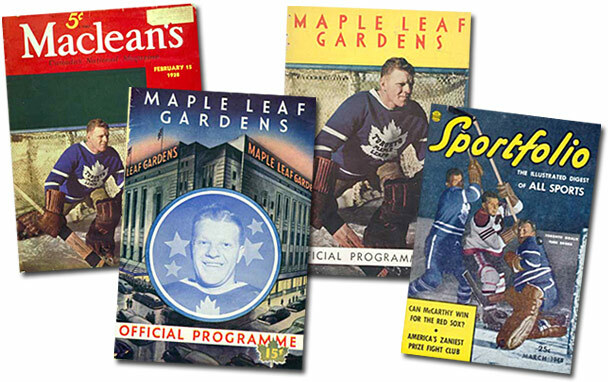 "Maclean's" Canadian National Magazine and "Sportfolio". 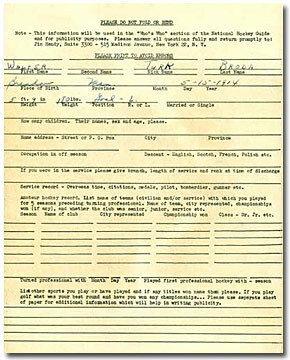 post card produced in 1983. 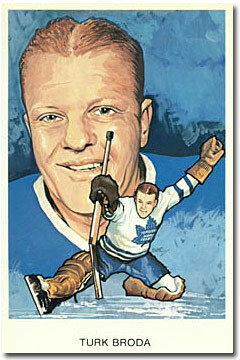 Turk Broda filled in by Jim Hendy. 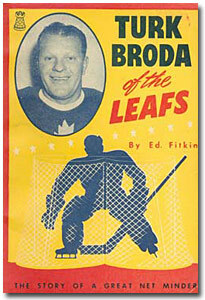 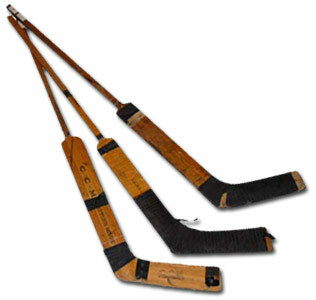 Turk Broda of the Leafs by Ed Fitkin is a Castle Publication that was published by the Baxter Publishing Co.
Three of Turk Broda's sticks which he used throughout the early to late 1940s as a member of the Toronto Maple Leafs.